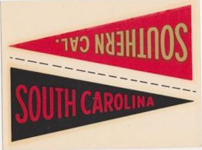 Both of these decal sets were inserted in the 1960 Fleer Football regular issue, 1 per pack. The Team Decals consist of 9 logos, 8 AFL Teams and the AFL Logo. 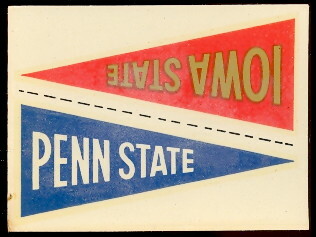 The College Pennants consist of 19 pennant decal pairs. 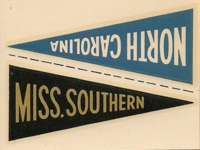 Some believe the college decals are bit tougher. They measure 2-1/4" X 3".